BURNCO machinery. Screenshot from BURNCO's YouTube channel. British Columbia's ministries of environment and energy have issued an environmental assessment certificate to BURNCO Rock Products' 70-hectare sand, gravel and rock mine, located on the northwest shore of Howe Sound. Known as the BURNCO project, the mine sits approximately 22 kilometres southwest of Squamish and on the traditional territories of the Squamish Nation, Tsleil Waututh Nation, and Musqueam Indian Band. Estimates predict the extraction of up to 1.5 million tonnes of aggregate per year over a 16-year mine life. The project includes a marine barge loading facility and marine transportation route within Howe Sound. "The ministers are confident that the project will be constructed, operated and closed in a way that ensures that no significant adverse effects are likely to occur," a press release from the provincial government states. BURNCO was required to comply with 25 legally-binding conditions in order to maintain compliance with the certificate. The company was also urged to obtain other federal, provincial and local government permits to proceed with construction of the project. Among the conditions were BURNCO's duty to develop a marine mammal protection plan during construction to address underwater noise, as well as a fish habitat protection and management plan and a wildlife protection plan to assess, monitor and address impacts to wildlife throughout the life of the project. 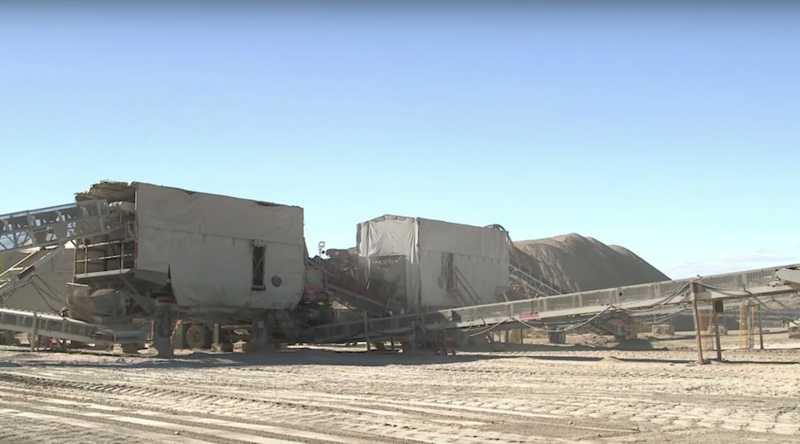 The company also has to design and put in place a water management plan to monitor and manage the impacts from the mine to nearby watersheds and groundwater flow, and it also has to develop an air quality and dust control plan to manage fugitive dust emissions. The provincial Environmental Assessment Office, on the other hand, "will co-ordinate compliance-management efforts with other government agencies and Indigenous groups to ensure that certificate conditions are met," the statement reads. According to the official communication, the Squamish Nation indicated its support for the BURNCO Project after having reached a legally-binding agreement with the Calgary-based firm in order to mitigate its members' concerns.